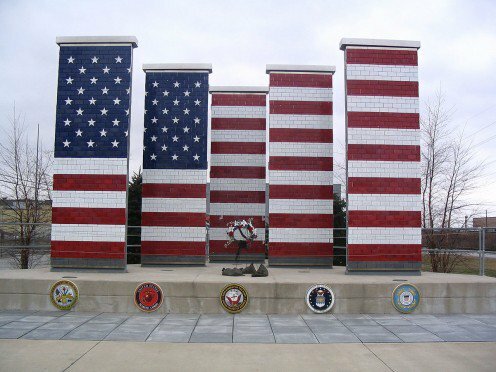 ﻿ Veterans Freedom Flag Monument - Ohio. Find It Here. 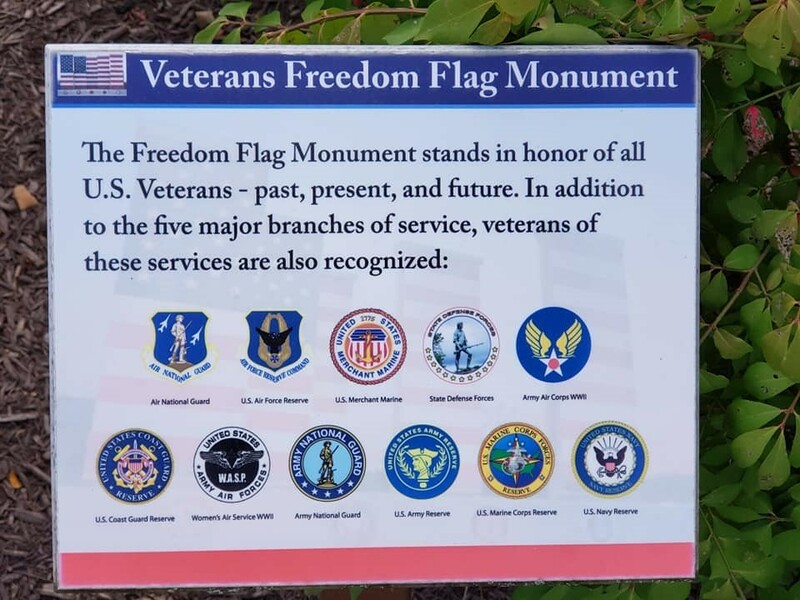 The Veterans Freedom Flag Monument stands proud to salute, thank and honor all U.S. Veterans of the past, present and future. It is the largest known permanent flag monument in the United States. To recreate the American flag, the monument is made of five 20-foot pillars of tiles. Tiles are engraved with names of veterans who made the ultimate sacrifice. The five columns represent the five branches of the Armed Forces: Army, Navy, Marines, Air Force, and Coast Guard. Free and open to the public from dawn to dusk.